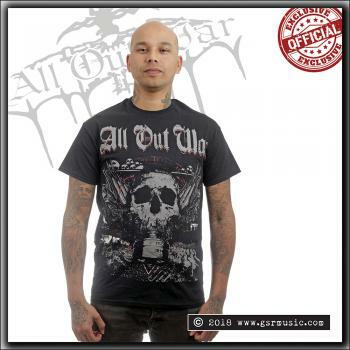 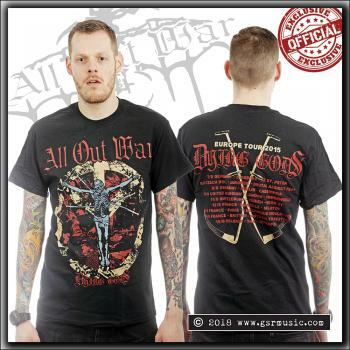 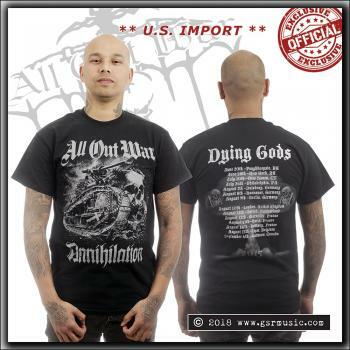 All Out War Skulls shirt for their European tour in 2014. 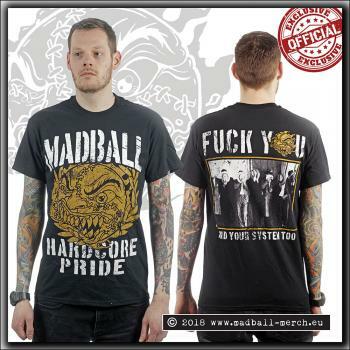 Design by Marcel Ströter. 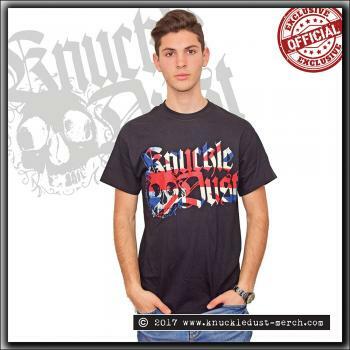 "Standing on the brink of extinction, but lost in our own lives - we choose, to ignore the suffering, the one truth in the age of lies - so you're the innocent?"